Great song-writing and clever arrangements are what characterize both Danny Wilson and Gary Clark, the former lead singer with the band. 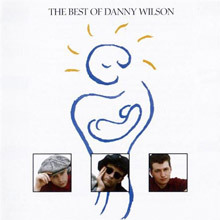 Danny Wilson is one of those bands that occupy a soft spot in many people's hearts that remember them fondly for bringing great songs to the radio. Top 40 radio developed a brief crush on Danny Wilson in the late '80s. 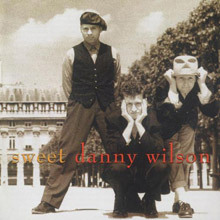 Formed in Dundee, Scotland, Danny Wilson shared the same pop sensibilities as compatriots the Big Dish, the Blue Nile, and Deacon Blue. Singer Gary Clark's breathy, yearning vocals on 1987's 'Mary's Prayer' earned the group its first -- and only -- hit stateside, but the band slowly amassed a cult following that usually develops with artists possessing timeless songwriting abilities. Formed by Clark, his brother Kit Clark, and percussionist Ged Grimes, Danny Wilson was signed to Virgin Records in 1985. 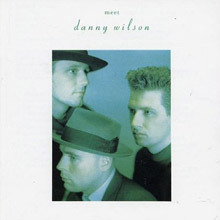 Two years later, the group released their debut LP, Meet Danny Wilson. The single 'Mary's Prayer' peaked at number three in the U.K. in 1988, and it was a surprise success in America as well. Named after the 1952 Frank Sinatra film Meet Danny Wilson, Danny Wilson was obviously enamored of '60s soul and Steely Dan's cool, sophisticated arrangements. Consequently, the band's retro sound never fit in with the U.K. rock scene of the late '80s, although they were often compared to Prefab Sprout, another group that defied contemporary trends and featured a singer with a velvety voice. 'Second Summer of Love' also landed on the British charts in 1989; however, after their follow-up album Bebop Moptop, Danny Wilson broke up and Gary Clark went solo. In 1993, Clark recorded Ten Short Songs About Love. He then formed the short-lived King L, releasing Great Day for Gravity in 1995. Clark joined former King L member Eric Pressly (bass) and female singer Keeley Hawkes in Transister, creating a completely different sound with hard-edged guitars and samples on their 1997 self-titled album. But, by 2000, he was no longer with them. In 2001, Clark co-wrote and produced tracks on Natalie Imbruglia's White Lilies Island. There's a cult of Meet Danny Wilson lovers and if you ever ask them about the album, a Steely Dan comparison is bound to come up. It's not without merit, and considering that the other bands the album might remind you of -- Deacon Blue and Fairground Attraction -- aren't on the tip of much of anyone's tongue, Steely Dan is at close as it comes. But the Dan never sounded this lively, this exuberant, this finger-snapping. If that makes them sound light as feather, keep in mind that Lloyd Cole loves this record. Head songwriter Gary Clark shares some of Cole's love of literate and clever lyrics that fit just right with the notes they land on, but he prefers a horn-section blast to Cole's guitar jangle (plus Clark has more Jimmy Van Heusen records than Cole does, no doubt). The sweet "Mary's Prayer" is the almost-hit, barely making enough impact to call the band a one-hit wonder. It's only part of the story for an album that effortlessly hurls clever arrangements and lyrical stingers out of the speakers. Opening with the syncopated and humble "Davy" and then switching to the Vegas hipster, Bobby Darin-for-the-'80s "Aberdeen" makes for a killer opening, and the album keeps minding the pace. The transition from the dreamy "Steamtrains to the Milky Way" to the intentionally clunky instrumental "Spencer-Tracey" might remind you of the old A-side/B-side record/tape flip, and "Ruby's Golden Wedding" is prime Salvation Army band material. The shuffling "A Girl I Used to Know" -- all standup bass and brushes on the drums -- should've been as big as "Mary's Prayer," but apparently American radio only had so much tolerance for a brainy Swing Out Sister. The ending of the album leaves the listener hanging and hungry for more as the last meandering piano fades, but Danny Wilson were hit hard by the sophomore jinx and never recovered. If anyone ever reissues the album with the band's wonderful live version of ABBA's "Knowing Me, Knowing You," it'll be perfect. Sophisti-pop's Sgt. Pepper's; believe it. It's rare that British bands produce such a polished set as the debut from the short lived Danny Wilson. I saw them live in my home town supporting The Christians just as the lp was released. They were a class act. It's Gary Clarks voice that seals it combined with quality song writing reminiscent of the Dan, Cole Porter and the Beach Boys. The lyrics tell of love lost (and gained), growing up and moving away and of celebration ('Ruby's golden wedding'). The mix of guitars, keyboards and brass floats around Gary's vocals. How ever many times I play the opener 'Davy' (my favourite cut) I am moved. It tells the tale of the young man leaving Dundee for London and Gary Clark sing: 'If you want to come home, I won't cast the first stone' - terrific.....and of course there's the fabulous 'Mary's Prayer'. This should be in everyone's collection, and although I found the bands follow up a bit patchy, Gary Clarke's solo release ('ten short songs about love') carries on the brilliance of this release. I must admit that this is one of my most treasured CD's I own. Yes, I have the tape version of "Meet Danny Wilson" which is a masterpiece but this CD contains most of my favourite Danny Wilson tracks.... "Davy", "Mary's Prayer", "A Girl I Used To Know", "Second Summer of Love", "Never Gonna Be The Same" and "Broken China (Live)" I loved their music, along with the music of Gary Clark. 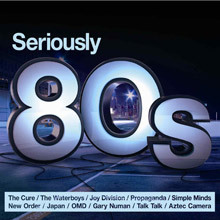 Seriously 80s is the first in the Seriously series and takes you to the darker, cooler, more credible side of the 80s. Made up of 60 massive, classic tracks, from the bands that defined the decade. Artists featured across the three discs include The Cure, Joy Division, Gary Numan, Tears for Fears, Simple Minds and Aztec Camera, plus many more. Seriously 80s is a must buy for any music fan of the decade, or for those who may have missed out first time around. 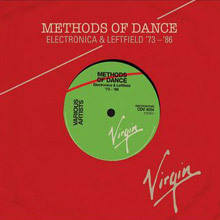 ‘Methods Of Dance’ brings together the cream of the label’s electronic output from its first decade and a half in existence, drawing together a tapestry of disparate threads united by a singular desire to capture the sound of the new. It demonstrates effectively Virgin’s uncanny knack for picking out the cream of cutting-edge, forward-thinking new music.